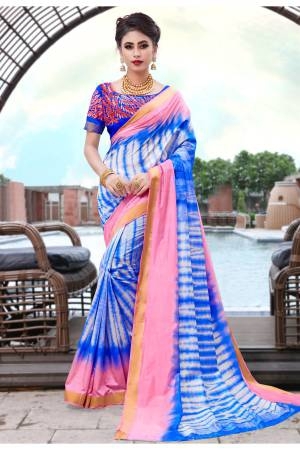 Designer Sarees are the biggest style revolution in womens clothing with the Indian subcontinent playing a major part in making it a fabulous global phenomenon. A designer Saree is the most sought after ethnic ensemble that is coveted not just in the country, but also worldwide. Why do you ask? Well, the answer is quite simple- a designer Saree is the epitome of the perfect amalgamation of tradition and trend. Made popular by fashionistas and celebrities alike, now the latest Designer Sarees have made their foray into every ethnic loving Diva’s closet. So, what do you look for in the perfect Designer Saree? Amazing fabric. Bright colours. Beautiful patterns, prints and embroidery. Well you are in luck! 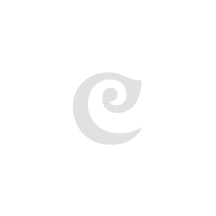 Craftsvilla is synonymous to the biggest collection of designer Sarees with price points you will absolutely love! Our designer Sarees online are not just traditionally chic but also trend favourites amongst ethnic fashion lovers. And the best part: just a click away! Choose from the widest range of colourful, embellished, printed drapes that will elevate your ethnic style status and completely revolutionize your desi wardrobes! The best part about owning a designer Saree is that it is suitable for any occasion- be it an office party or a wedding ceremony. Keeping in mind the pace at which the Saree revolution took place, it is extremely important to keep up with the trends when it comes to shopping for designer Sarees online. That’s where we come in! We at Craftsvilla understand the utmost importance of meeting tradition with trends, hence our collections are updated every day with the latest, trendiest designer Sarees that you’ve ever laid eyes on. Craftsvilla’s latest designer Saree collection houses gorgeous Georgettes that are picture perfect and will most definitely take you from day to a date night! Then comes the charming Chiffon collection that will let your style flow freely and make you look effortlessly stylish, no matter what occasion you chose to wear it for. Floral prints are currently having a moment in the fashion industry and of course we’ve all sorts of fabulous floral printed Sarees that will make you look like you just stepped out of a photo shoot! Love pretty lace work coupled with equally pretty borders? Well we have a collection that will make you fall head over heels in love with Designer sarees all over again! If you have an eye for Jacquard Saree, check out our collection and prepare to have your breath taken away by the beauty of classic Jacquard Silk wonders! The elegance of an embroidered Saree never ceases to amaze and our thread work designer saree collection is an ode to this very school of thought. Want to sport trends that are rooted in tradition? Our collection of designer Bandhani Sarees is quite popular and will turn heads in your direction, the moment you step out in it! Have too many Weddings to attend this season? Come, check out our heavy work designer Cotton Silk Saree collection that will take you through any big fat Indian wedding- from Sangeet to Shaadi! Our Sarees are not just trendy but also budget friendly, so shop till you drop, ladies. Plus, if you are constantly on the hunt for perfect designer blouses to make weave stylish Saree stories, we’ve a plethora of designs to choose from! Take your pick NOW. What makes up for an exquisite designer Saree wardrobe? According to us an ideal Saree wardrobe is only ideal if trends are in perfect harmony with tradition and that is exactly what we aim to achieve in our designer Saree collections that is host to varied trendy styles and colours such as Multi coloured charmers, Lace work wonders, Half-half drapes and Checkered printed patterns. Not to mention, our traditional Sarees swathed in Resham Embroidery, Patola, Benarasi Silk, Bandhanis and so on! Now let’s talk colours. Since time immemorial, Indian ethnic fashion is known for its vivacious hues that instantly make for a head turning outfit. Keeping this very tradition in mind, Craftsvilla’s Sarees online is in harmony with trending colours of the season like- Pink, Blue, Black, Red and Orange. How to Pick A Designer Saree That Loves Your Shape & Size! Though draping a Saree comes naturally to many women, picking the right one that makes you look gorgeous can be quite a task. Hence it is always easier to keep in mind simple pointers that will make you look your best in dreamy designer Sarees. If you are blessed with an Apple shaped body, choose a Saree that hides those extra inches on your bust; stomach areas. A Silk Saree with delicate borders is all you need in times like these with a smashing pair of Jhumki earrings to elevate the style status of your entire outfit. Have a curvy waist and well-rounded hips? Your perfect Saree mates are gorgeous Georgettes and charming Chiffons which are bathed in bright colours, heavy borders and small motifs. These designer Sarees online will ensure you look breathtaking no matter what the occasion! Have an athletic figure? Well, the options are endless! Define your toned waistline and lean upper body with subtle precision by draping Cotton Silk or Organza Sarees heavily embellished with brocade and heavy beadwork. With the technology advancing at breakneck speed and womens clothing rapidly changing trends, designer Saree shopping has become easier than ever and we at Craftsvilla aim to keep up with the trends by updating our collections with the latest styles every single day. Latest designer Saree styles and designs are available at amazing, affordable prices, literally just a click away! We stand for the phrase- value for money and will always aim to create a wonderful, fulfilling shopping experience online. Shop with us and refresh your designer Saree closet every single day. Head to our website to get in on the latest ethnic wear or download our smartphone app to avail best prices and never-seen-before styles for timeless designer Sarees that weave stories of style, no matter what the occasion demands.